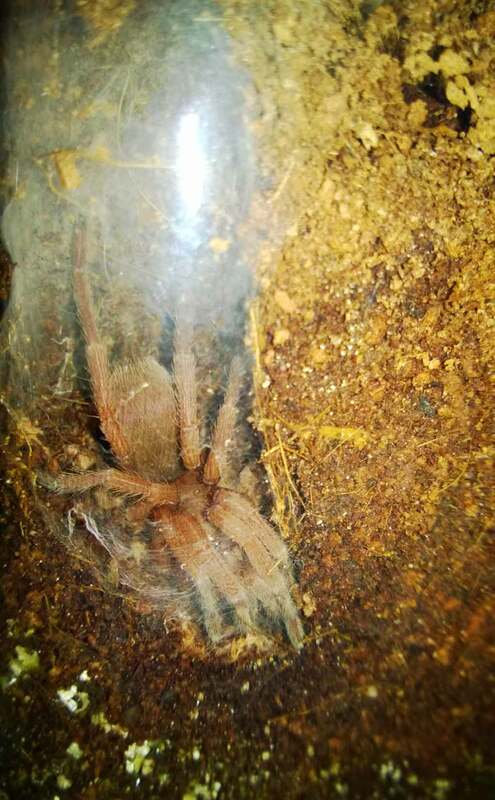 Tips for rehoming one of these and how to tell when it’s done with premolt as I rarely see mine, last time I did it was in premolt and ready to up size an enclosure when molted, haven’t seen it since and it’s rejecting all food. I’ve found that mine will web over the mouth of their burrow when they are in premolt and open it back up again when they are done. Sometimes, it’s only a thin coating of web, so it can be overlooked. 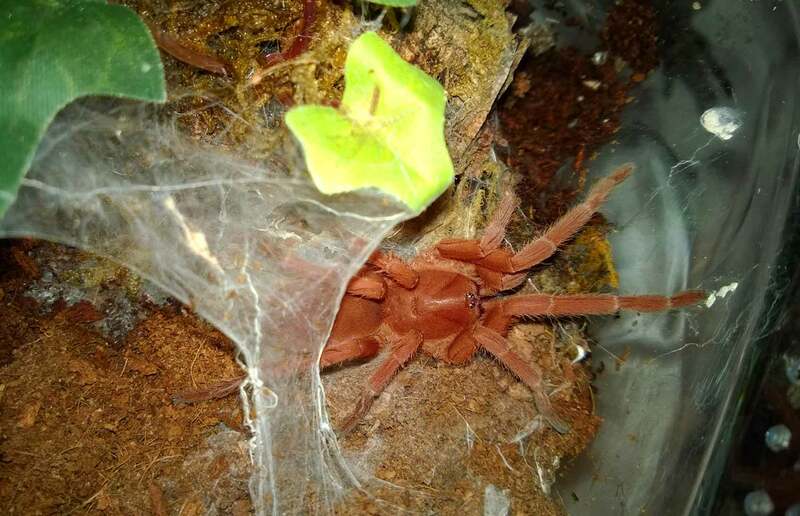 I’ve also noticed that when they are ready to eat, you’ll see them hanging out close to the top of their burrows; I can usually see the front legs. I actually JUST shot a rehousing video on mine on Saturday. I cheated a bit, though, as mine was hanging outside of its burrow. When I have to dig them out, I do it like in the video below (easier to see it than to explain). I just take my time, use a long spoon, and am careful not to hit the T. Most will cower in a corner as you dig, so the idea is to cup them before they can freak out an bolt. Tom, I just picked up my first O Philippinus along with my first true Blondi sling. I am absolutely in love with the both of them, great eaters, very pretty. I am going to be breeding mine once they are large enough, and in the meantime i have a few projects with some other species. The way that the tangerine looks is so cool plus the heavy webbing sold me. You should definitely do another vid of your girl soon! Hi, Brandon! I love both of those species…congrats! I can definitely do another vid really soon!